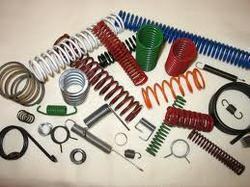 Prominent & Leading Manufacturer from New Delhi, we offer metal compression spring and compression spring. Backed by a state of art infrastructure and ultra modern tools and technology, we are engaged in manufacturing and supplying a qualitative collection of MetalCompression Spring. In tandem with the industry defined norms and guidelines, our offered products are appreciated for their cost effective nature and high efficiency. Apart from this, these products are tested stringently on various levels of the production process to ensure their top quality. Since we have footed in this industry, we have gained widespread appreciation and acknowledgement by our clients by offering a premium quality assortment of Compression Spring. 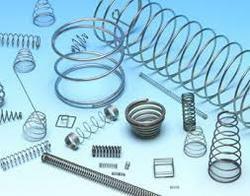 Known for their applications in various industries, these offered springs are highly demanded in the industry. Apart from this, we are providing them in various standard and customized sizes to choose form.